Beloved husband, father, grandfather and great grandfather, Walter Leo Johnston, 80, of Santa Fe, passed away peacefully, December 1, 2018, surrounded by his family. Leo was born October 11, 1938 in Lometa, Texas to Kyle Dewey and Donah Agnes (Bird) Johnston. He served in the US National Guard from 1956 until 1964. He was then employed as a stenographer with the Santa Fe Railroad in Galveston followed by positions with Exxon and Amoco and retired from British Petroleum in 1998. Most recently, he worked with his grandson in their family business, The Johnston Company. Leo spent many hours assisting his long-time buddy, Raymond Haak, in making and bottling wine and he loved pouring wine at festivals and educating others about Haak wine. Leo always looked forward to his monthly card games with his longtime friends. One of Leo’s favorite sports was golf. He had many wonderful memories, including his hole in one at the original Galveston Municipal Golf Course. 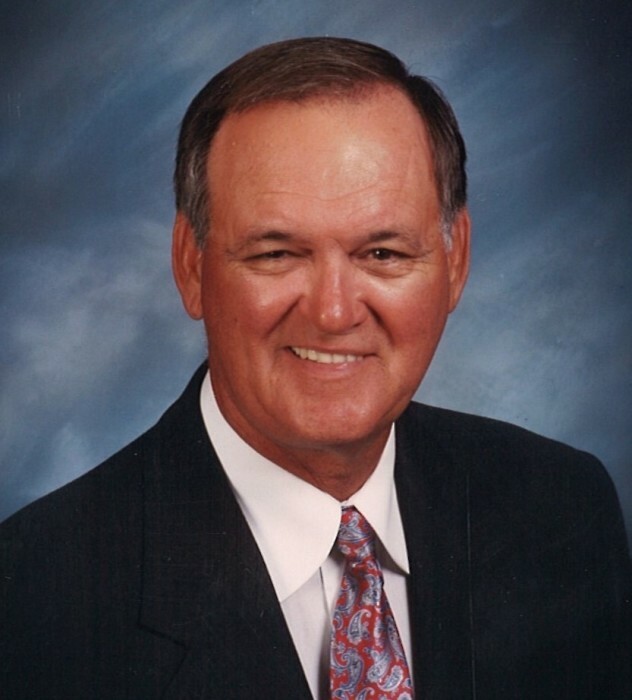 Leo had a passion for sports and coached youth football in Galveston for many years. He was not only a coach, but a mentor and role model for many young athletes. Leo rarely missed any of his children’s, grandchildren’s and even great grandchildren’s extracurricular activities. This included band concerts, baseball, football, track, cheerleading, soccer, 4-H and FFA. He was very proud to have three grandsons that played Division 1 college football. He was their biggest fan and was excited to let anyone know how proud he was of his family. He was a graduate of the Ball High School class of 1957 and a member and staunch supporter of the Ball High School Golden Tornado Booster Club. Leo was a member of Our Lady of Lourdes Catholic Church in Hitchcock where he spent countless hours mowing the church lawn and he took great pride in his meticulous work. Leo instilled incredible work ethics and values in his family, a legacy that will continue for generations. Leo’s children recently had the privilege of honoring their parents with a lovely sixty year wedding anniversary celebration at the Haak Winery, in Santa Fe. He is preceded in death by his parents, Kyle Dewey and Donah Agnes Bird Johnston, his son, Keith Russell Johnston, brothers, John Mark Johnston, Boyd Dewey Johnston, and sisters, Birdie Lee Brantley, Bertha Nell Lohec, Kyliene Scales, Aubrey Searcy and Marjorie Holifield. Leo is survived by his loving wife of over sixty years, Mamie Johnston; son, Kyle Edward Johnston, Sr. and daughter-in-law, Tami Johnston; daughter, Kelli Ann Johnston Douglas and son-in-law, Clinton Mark Douglas; grandchildren, Justin Mark Douglas, Lindsey Ann Douglas, Kyle Edward “Babe” Johnston, Jr., Rachel Dawn Johnston, Loran Frances Douglas Bullock, Nathan Ed Bullock, Kristopher Ethan Johnston, Chase Dominick Douglas, and Hilary Alyse Douglas; great grandchildren, Tyler Denton Bland, Leo Mark Douglas, Case Dalton Everette, Jackson Cole Everette, Bella Ann Douglas, Kasen Alan Douglas, Josie Kyle Johnston and Kollins Alyse Douglas; brother-in-law, Ronald Eugene Lohec and a host of nieces, nephews, family and friends. A visitation with the family will begin 5:00 p.m. Monday, December 3, 2018, at Our Lady of Lourdes Catholic Church. A Vigil service will begin at 7:00 p.m. followed by a rosary. A Mass of the Resurrection will be 10:00 a.m. Tuesday, December 4, 2018, at Our Lady of Lourdes Catholic Church with Reverend John Kappe, Celebrant. Interment will follow at Mt. Olivet Catholic Cemetery in Dickinson under the direction of Hayes Funeral Home. Pallbearers will be his grandsons and his nephew, Wesley Eugene Lohec. Honorary bearers will be Joe Tambrella, Raymond Haak, Ed Korth, Robert Whelton, OJ Copeland, Bobby Alcala, James Shukanes, Melvin Haygood, Bill Fullen and Harry Forester. In lieu of flowers, please send donations to Our Lady of Lourdes Catholic Church or A-MED Hospice. Leo’s family would like to thank all of the staff in the Neuro ICU at Clear Lake Regional Medical Center and the staff with A-MED Hospice.